The U.S. Environmental Protection Agency unveiled new rules today to reduce emission levels for smog-causing ozone, which is linked to asthma and other health problems. The draft measure calls for lowering the threshold for ozone from 75 parts per billion to between 65 ppb to 70 ppb. The agency said it would take comments on an ozone level as low as 60 ppb. 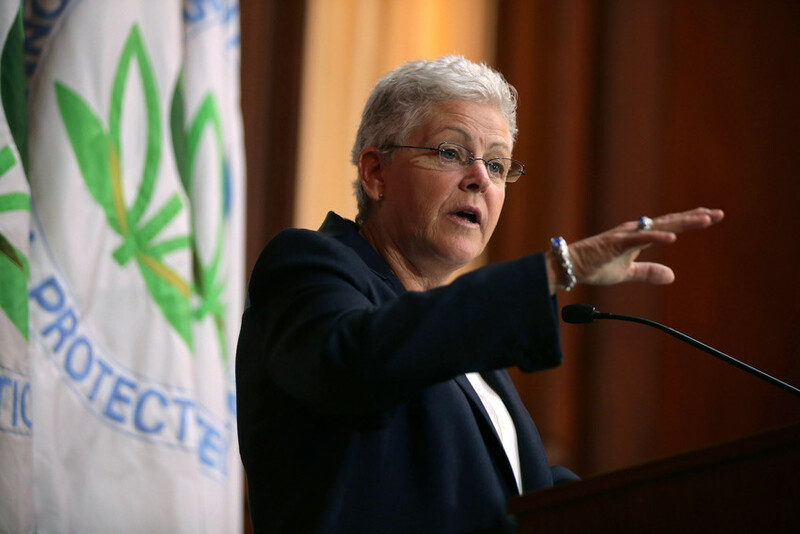 "Bringing ozone pollution standards in line with the latest science will clean up our air, improve access to crucial air quality information, and protect those most at-risk," EPA Administrator Gina McCarthy said in a statement. "It empowers the American people with updated air quality information to protect our loved ones — because whether we work or play outdoors — we deserve to know the air we breathe is safe." The Clean Air Act requires the agency to review standards every five year. The ozone levels were set at 75 ppb in 2008 by President George W. Bush's administration. The new rules are likely to draw opposition from industry groups as well as Republicans. Critics say the standards will hurt jobs and adversely affect an economy that is only just recovering from the Great Recession. Jay Timmons, the president and CEO of the National Association of Manufacturers, said today that the proposed rules would jeopardize the manufacturing sector. "This new standard comes at the same time dozens of other new EPA regulations are being imposed that collectively place increased costs, burdens and delays on manufacturers, threaten our international competitiveness and make it nearly impossible to grow jobs," Timmons said in a statement. "Before the Obama administration moves the goalposts with yet another set of requirements that will make it more difficult for manufacturers across the country, they need to allow existing ozone standards to be implemented and give time to American businesses to meet those already stringent and onerous requirements." Rep. Pete Olson, R-Texas, told the Los Angeles Times that the current ozone standard was healthy and the new levels would hurt the economy. "The law as it stands now says [the EPA] can't look at jobs," Olson told the newspaper. "But if you don't have jobs, you don't have healthcare, and that is a public health issue." The EPA's McCarthy rejected those claims in an op-ed article on CNN.com. She said states will have until 2020 to 2037 to meet the new standards, depending on how severe the area's ozone problem is. "Critics play a dangerous game when they denounce the science and law EPA has used to defend clean air for more than 40 years," she said. "The American people know better." The rules must be finalized by Oct. 1, 2015.